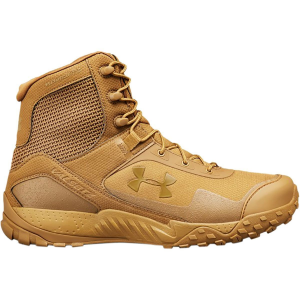 Combining the durability you need to get the job done with the athletic-driven comfort of a running shoe, Under Armour struck the perfect balance for tactical performance in the creation of their Valsetz RTS 1. 5 Hiking Boots. 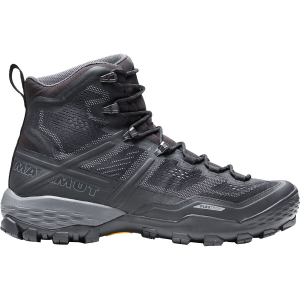 These boots start with an UA ClutchFit ankle support system that contours to your foot's shape and provides stability exactly where you need it. 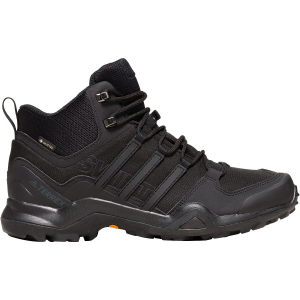 A tough, lightweight synthetic leather upper keeps up with your harshest adventures, while the molded Ortholite sockliner fights funky odors and absorbs harsh impact for a smooth, cushioned ride. 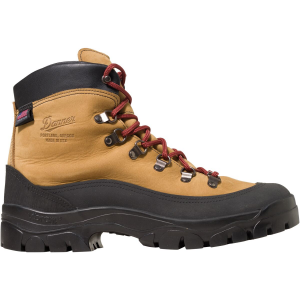 A TPU toe cap teams up with the welded PU film that surrounds the boot for the perfect combination of abrasion-resistance and added protection against trail debris. The ultralight TPU shank bolsters mid-foot support with just the right amount of rigidity, helping you nimbly maneuver over fallen logs, rocks, and streams. Rounding things out, the high-traction rubber lug outsole grips sloppy, chewed up trails with confidence. Rising above a scene rich with extraordinary wildlife, pristine lakes, and alpine terrain, the Teton Range stands monument to the people who fought to protect it. These are mountains of the imagination. Mountains that led to the creation of Grand Teton National Park where you can explore over two hundred miles of trails, float the Snake River or enjoy the serenity of this remarkable place. The pika is a close relative of the rabbits and hares, with two upper incisors on each side of the jaw, one behind the other. Being rock-gray in color, pikas are seldom seen until their shrill, metallic call reveals their presence. © 2000 - 2019 US-Parks.com Inc. All Rights Reserved.